Apollo and Midnighter, Harley and Redtool and Mr. J, Harley and Ivy: its prime cuffing season for... SuperQueeros: all that's lesbian, gay, bisexual, transgender, and queer in comics today! Now that A&M is a limited series, this is the penultimate issue. 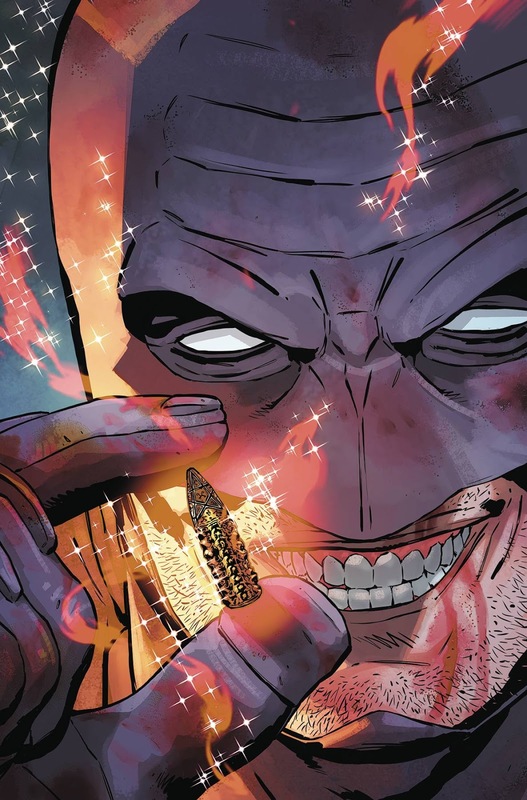 Can Midnighter punch his way into saving Apollo's soul? Harley unearths Joker's backstory in her solo title and helps Raven get to her father in Bombshells! The 'grams get an AU makeover to become space superheroes in their annual. Meanwhile, the Misfits' reality show is turning into a real problem for them! The x-babies are all tie-ins this week! First, young Scott finds out why his older self died. Then Wolverine brings the fight to the monsters in a tie-in with Monsters Unleashed! Roger stops by for some Valentines adventures while the Mercs get in between the X-men and the Inhumans! Jory is trying to get home, Batgirl is back in Burnside, Shuri is back in the land of the living, and Batwoman is back at her beginning... SuperQueeros: all that's lesbian, gay, bisexual, transgender, and queer in comics today! Jory is trapped on stage, and the other Backstagers have been transformed, Beauty and the Beast-like, into animated inanimate objects! Can Jory drop the curtain on this fiendish play? It's full on fisticuffs as the squad of slayers employed by the government take on the Scoobies for obstructing the arrest of Spike. But how can an ensouled vampire put his friends in harms way like that? And what will happen when he inevitably gets captured? As the solicit says, Babs is back in Burnside! That means it's time for the return of everyone's favorite trans 'queero, Alysia! And also her wife, Jo! And also the son of the Penguin! ... Wait, what? Jo is trying her hardest to build a temporal anomaly sensor, but the camp ban on electricity is getting in her way. 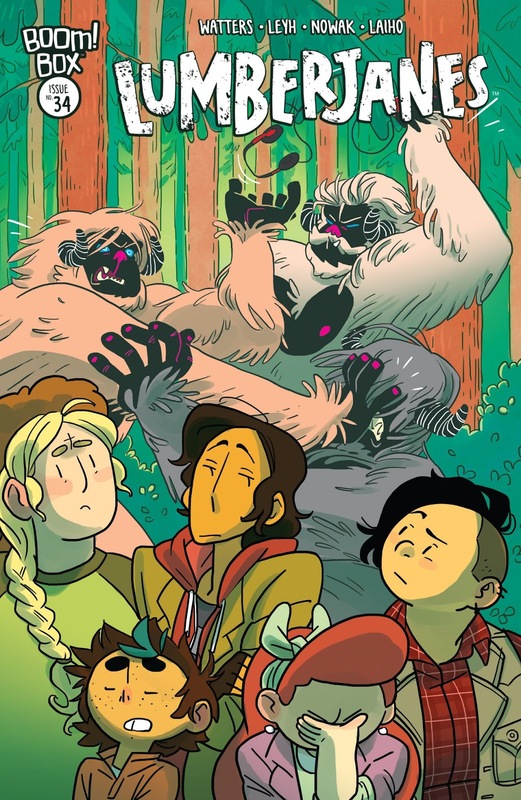 Also in her way are the ever-lovin' yetis! The Stingers stops here! Now that the band is without a drummer, can they still manage to salvage their performance? Or have the Stingers accomplished what the Misfits could not: are the Holograms toast?! Season two starts here! But will Gabrielle's little sister survive her Black Baptism, or will Lizzie lose to her lycanthropy? 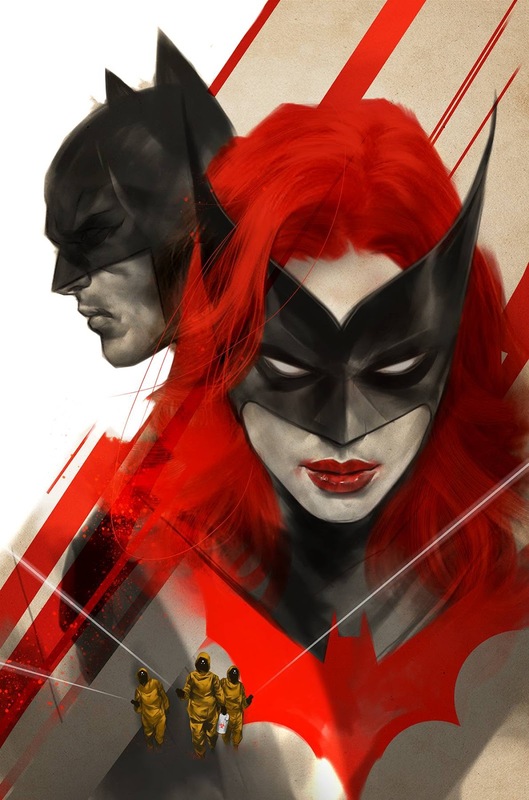 Batwoman Begins concludes here! Next time we see Kate she'll be helming her own series again! For this week, though, she and Bruce are tracking down the people weaponizing monster blood in Gotham. Mercury recounts her time in the realm of the Creator while she and Constantine travel the chunnel toward Marid and his djinn hoard. Could Mercury's time in that dream world be the key to stopping the djinn? The end of this awesome weekly mini-series finds the Eclipso's Justice League up against Batman's Justice League of America! When the dust settles, we know that the JLA will rise from the ashes, but who is about to get burned? And after you're done reading JLvSS, catch the epilogue in Suicide Squad! Will Amanda Waller be able to survive what has turned out to be a terrible, horrible, no good, very bad day? Or will her world be brought crashing down around her, via some terrible murders? Shuri is back! And like Jean or Cypher before her, she's got some dope new powers. 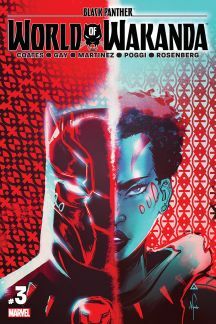 Meanwhile, the Dora Milaje form an accord with The People and T'Challa sits down to talk with Changamire! It's Wonder Woman like you've never seen her before: in the insane asylum! Not sure if this is going to have any queer characters, but it's about women running a feudal kingdom so... I'm going to guess "Yes, eventually." Anyway, it looks pretty funny, and the art is great! Ayo, Aneka, Bobby, Kris, Ian, Kimber, Ray, Aphra, Aikku, Toni, America, Harley, Diana, Jack, Ivy, Kevin, Jughead, and 'pool. 2017 is treating us RIGHT with some righteous... SuperQueeros: all that's lesbian, gay, bisexual, transgender, and queer in comics today! 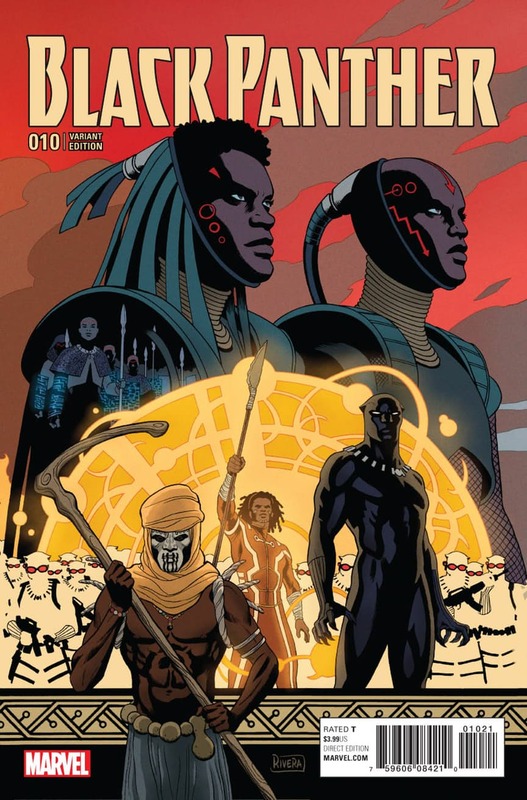 Now that Ayo and Aneka have consummated their love, it's time to deal with Black Panther's betrayal of their country! Now that Hank looks more like the Brute than the Beast, our troubled teens join the IvX event! That means the spotlight is going to fall squarely on Iceman and his star-crossed crush, Romeo! Kris and Tamara have reached a turning point: will they be joining up with Faith's Renegades? Now that Black Cat has sunk her claws into Ian's boyfriend, this fight got a whole lot more serious! Will the threat of lost love turn the tide? The Stingers are KILLING IT and the 'grams just lost their drummer! What's a band to do? Okay, buzz on the street is that The Ray is the gay in the new JLA. He spends his entire childhood in a literal closet, though, so maybe the rumor mill just got confused? Either way, Steve Orlando pens this issue, so you'll want to get it. The queer doctor has landed her crew smack dab in the middle of an imperial encampment! Aikku and Iron Patriot take on the $kullocracy! Order and Chaos teamed up to murder the Living Tribunal and now they are going head to head over Galactus! Can the Ultimates keep the universe from going topsy-turvy? The awesome weekly series continues! This week sees Maxwell trade in his Suicide Squad for the Justice League. With Wonder Woman under Maxwell's sway, will Harley be forced to snap his neck to free her bestie? Or will she get to kill him in a more exciting way? Tying in to JLvSS, Harley becomes the protector of Gotham City! Thank goodness this is fiction! The Joker continues his crusade for Harley! But can the Mr. J be in a relationship without gas lighting? Jack, Rose, and the Doctor head to Brazil to hang with mermen! Wondy and friends take on Mongul and Ivy! The mercs navigate the twisty tides of IvX! Batwoman and Wonder Woman find a new directions, Jughead and Kevin play video games, and the Mutant-Inhuman war kicks off! SuperQueeros: all that's lesbian, gay, bisexual, transgender, and queer in comics today! 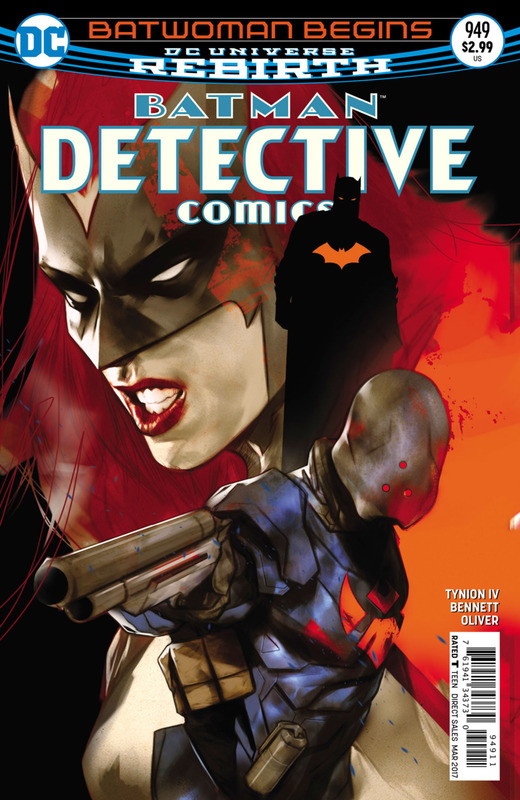 Batwoman Begins begins now! 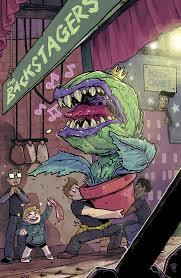 The megamonster that lies in Gotham Harbor has been turned into A.R.G.U.S. 's newest research facility, and Gotham's most dangerous (and smelly) neighborhood! What secrets does it hold for our sapphic superhero? The newest Suicide Squad takes on the original Suicide Squad! Will Harley and Waller press-gang these foes too? 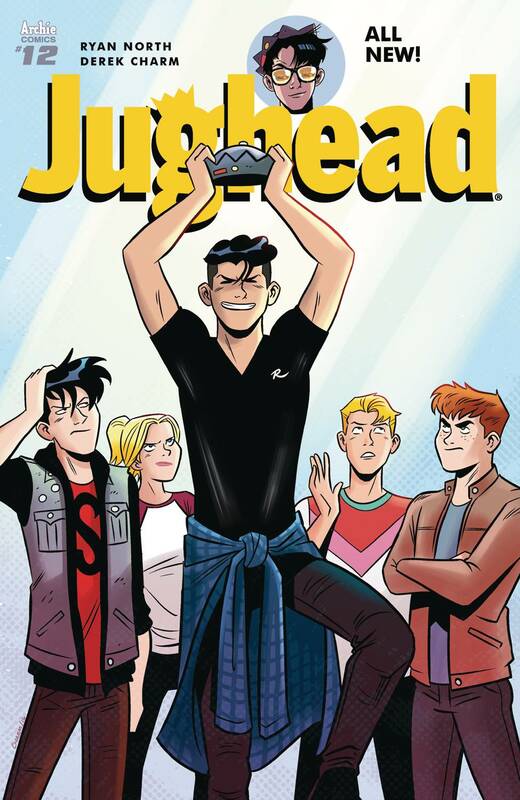 Jughead takes on Kevin and the rest of the Riverdale crew to become the champion of video game go cart racing! Can their bonds of friendship survive? The team is losing, which means its time for some sacrificial and/or motivating character deaths! Who will take the plunge (of the dagger into their back)? Year One concludes here! Diana faces off against the God of War and becomes there hero we all know her to be! The X-men approach New Attilan and Medusa hopes for the best while she prepares her people for the worst! Let the violence begin! Happy New Year! Now that we're firmly in 2017 it's time to make good on that resolution to read more... SuperQueeros: all that's lesbian, gay, bisexual, transgender, and queer in comics today! Midnighter is in Hell, on his way to save Apollo. But how do you use a magic bullet if you have no gun? And will Apollo still have his soul when Midnighter reaches him? 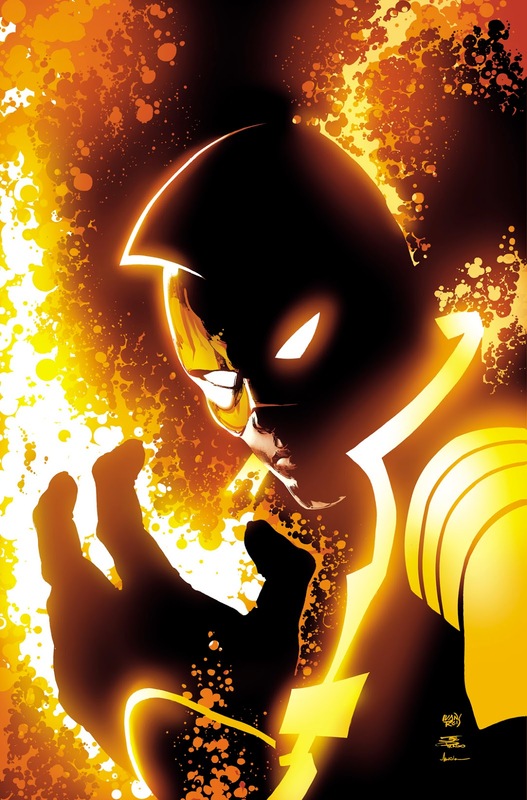 Dr. Toni Ho, Aikku Jokinen, Squirrel Girl, and the rest of Sunspot's A.I.M. are now the U.S.Avengers! How will the new mantle and expanded roster change their dynamic? The new drummer... is a SPY! Batwoman and Renee Montoya have their past come back to haunt them, and the Cheetah becomes a mecha cheetah god! Now that Harley has the Red Tool, of course the Joker's going to show up and try to win her back! Now that they have a common enemy, will our heroes and anti-heroes be able to fight alongside each other? The miniseries wraps up! Who has been killing Deadpool's friends? Was it Deadpool?